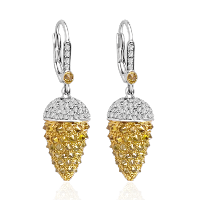 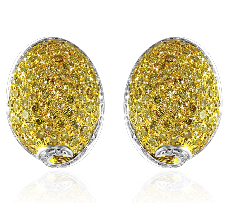 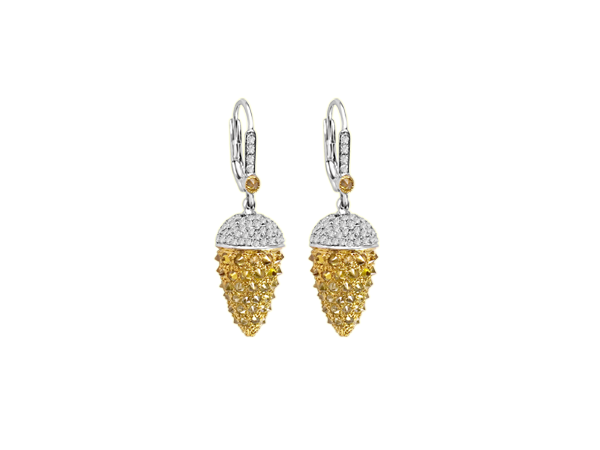 Natural yellow diamond earring tops accented with colorless diamonds set in 18k gold. 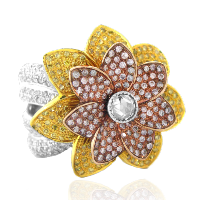 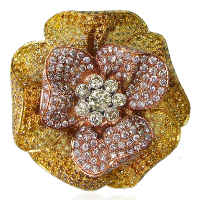 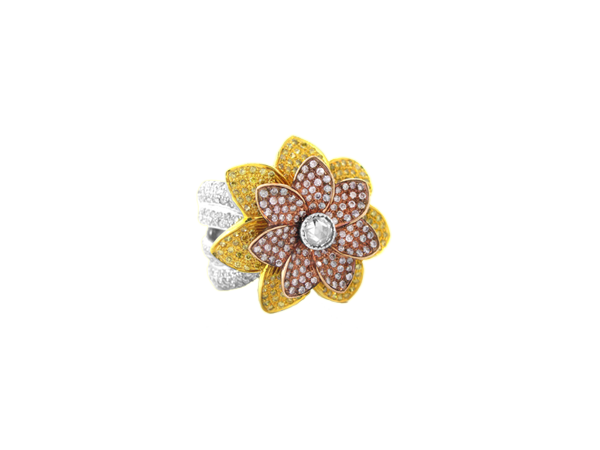 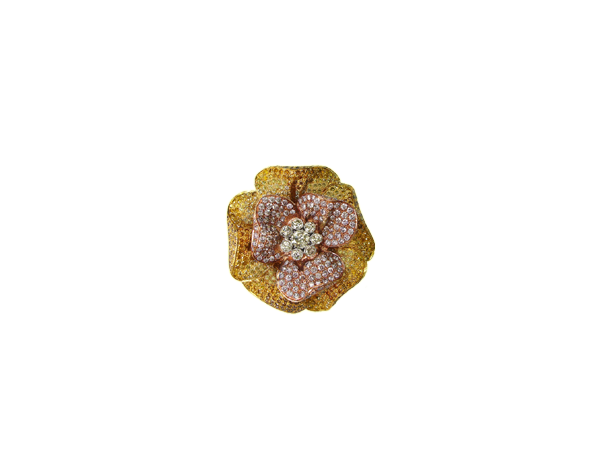 Floral ring with natural pink and yellow diamonds and centered with a round brilliant diamond set in 18k gold. 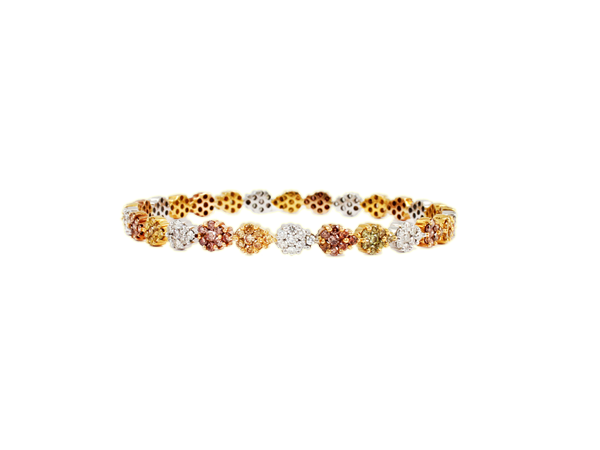 Natural fancy color diamonds bangle in 18k gold.